“I am Navid Mirpourzadeh, an Iranian political refugee in Sweden. I have been arrested by the Swedish police and I am now in imminent danger of deportation back to Iran and serious persecution afterwards. I’m asking all human rights groups around the world to help me in my hour of need by pressuring the Swedish government to reverse its decision on my deportation back to Iran. Mission Free Iran’s Navid Mirpourzadih has worked tirelessly, both in opposition to the bloody-handed Islamic Republic and in defense of Iranian asylum-seekers at risk of being deported to the same bloody hands of that regime.Now the government of Sweden, in violation of international law, has detained Navid with the intent to deport him to Iran – the place where Navid was held under torture by the regime, the place where Navid’s brother was executed for being a workers’ rights activist.We do not accept this criminal act. 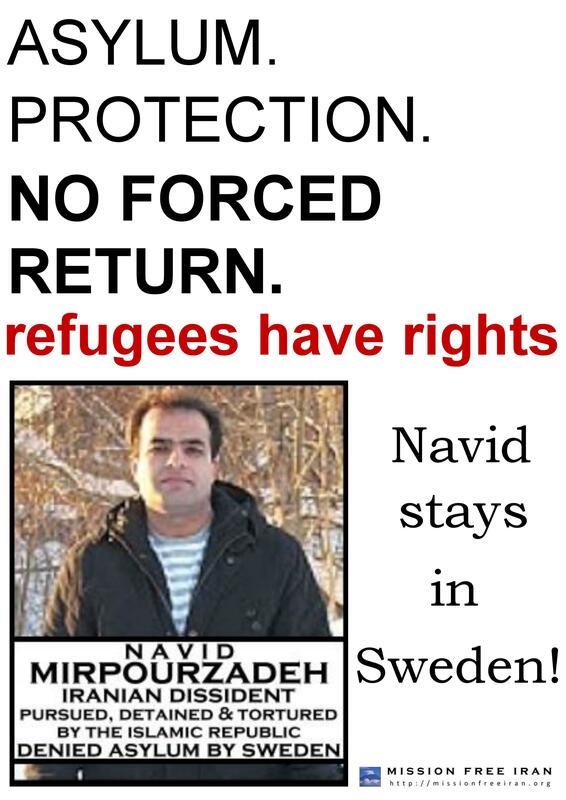 We demand Navid’s immediate and unconditonal release from detention, and immediate recognition as a refugee in Sweden with the full complement of rights that entails. Open Letter to the Swedish Migration Board: Navid Can NOT Be Deported! 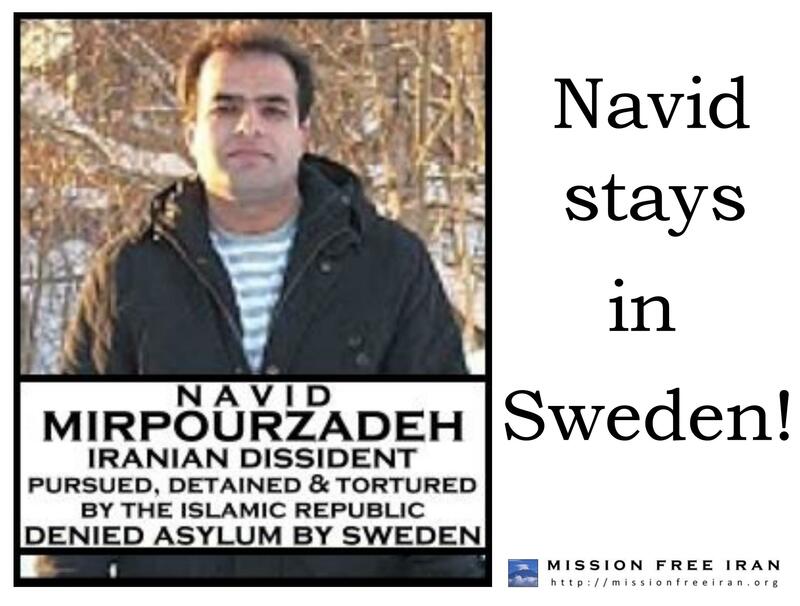 TAKE ACTION: STOP SWEDEN FROM ILLEGALLY DEPORTING NAVID TO TORTURE & EXECUTION IN IRAN! Below are a series of links to actions you can take in support of Navid Mirpourzadih. They include letter-writing and call/fax actions to demand asylum for Navid. 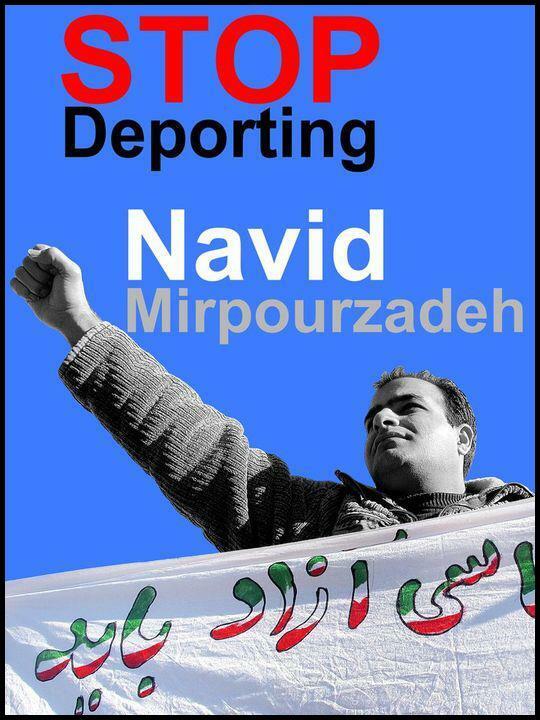 SIGN THE PETITION: Stop the Illegal Deportation of Navid Mirpourzadeh!